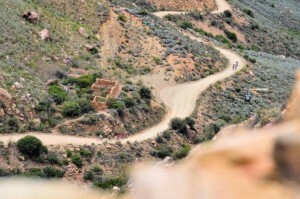 The people from Ladismith, a small town in the Little Karoo, will agree that mountain biking can make a difference to the lives of ordinary people. One weekend every year their town is invaded by mountain bikers who come to race in the Ladismith Cheese Seweweekspoort MTB Challenge. This year the event will take place on 15 October. It is the brainchild of two doctors Pieter Blignaut and Jaco Denkema. This year Dryland Events also got involved. 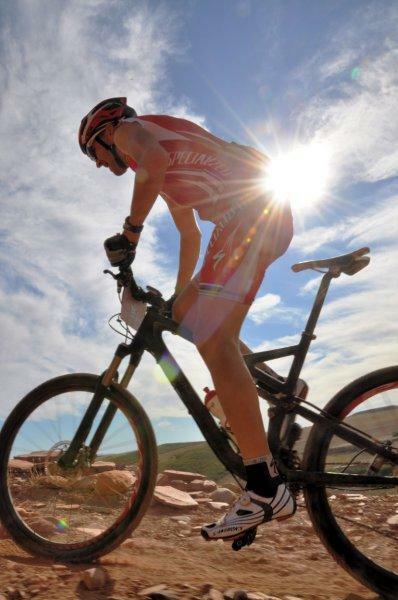 More than 1000 mountain bikers are expected to participate over the various race distances, namely 25km, 40km and 80km. This event creates a boom in the town’s economy because the riders and their supporters need to eat, sleep and enjoy themselves. A conservative estimate will be to assume that each rider will spend approximately R1000 on meals, petrol and accommodation over the weekend. This means that the race could bring in about R1.5 million to boost the town’s economy. This is not taking into account the family members of the riders who will accompany them. According to Fanus Walters, principal of the Hoërskool Ladismith, the Seweweekspoort Challenge has developed from merely a small race into one of the main social events on the town’s social calendar. “People realize the importance of such a race, especially because many small towns are currently involved in a battle for economic survival. Ladismith is no exception. “One of the main problems in most small towns is the over-population that puts huge demands on the economies of the towns. “Ladismith’s economy is sustained by two cheese factories, a distillery, a dried fruit company, as well as ostrich and dairy farms. This is more than what many other towns can boast of, but it is still not enough to sustain the ever increasing population. Walter reckons that the big spin-off of the race is that it makes people aware of the fact that Ladismith actually has much to offer from a tourism perspective. 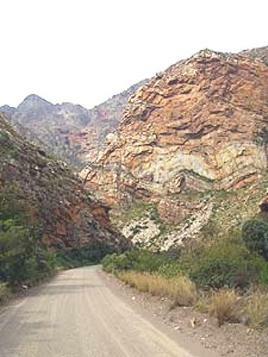 “The main tourist attraction of our town is the Swartberg that surrounds it. This mountain range has been the inspiration for a number of authors who used it as a background for their stories. In this regard Jan van Tonder and Abraham de Vries can be mentioned and even David Kramer refers to the Swartberg in some of his songs. 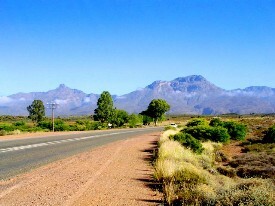 “A considerable portion of the race goes through parts of the beautiful and unspoilt Seweweekspoort. Riders will also get the opportunity to ride through some of the most beautiful farms in the Hoeko Valley. For those who may not know, this is where the most famous author in Afrikaans, CJ Langenhoven, was born. “I will admit that most people’s first impression of Ladismith may not be favourable, but first impressions can often be misleading. There are some really beautiful old buildings in the town that date back to the boom period of the ostrich feathers industry in the previous century. The architecture of some of these houses is unique to this part of the country. 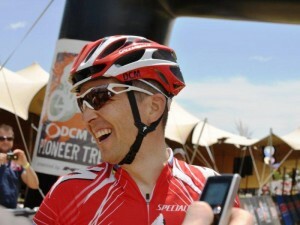 This is what Kevin Evans (360Life) said last year after he had finished the first stage of the DCM Cape Pioneer Trek. “It was just not fun. The racing was extremely hard and I could not see the point in punishing myself so late in the season. I phoned my teammate, David George, and told him that if there was one race we would not do in 2011, it was the DCM Cape Pioneer Trek,” Evans explained. But, as the saying goes “never say never”. Much can change in a short period of time and that is exactly what happened. 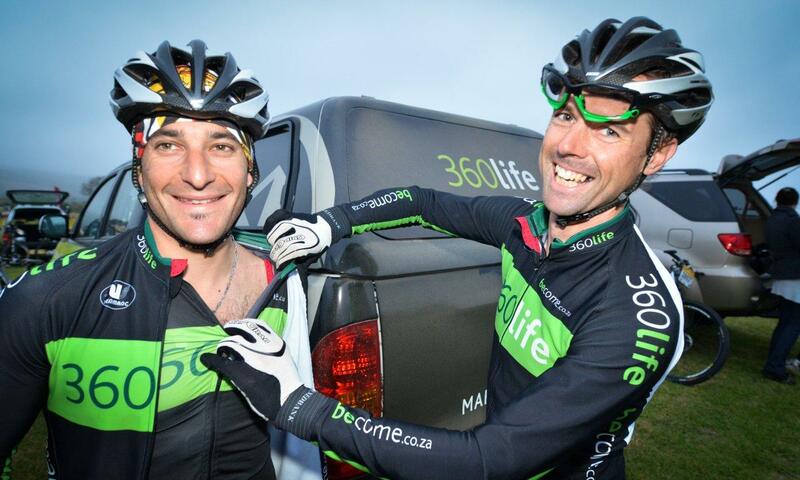 After stage three Evans made a 360&deg; turn-about in regard to his continued participation in the DCM Cape Pioneer Trek. Asked about the reason for this dramatic change of mind, Evans said that he began to realize that he was competing in a really unique event. “Every year I compete in many races around the world. The DCM Cape Pioneer Trek is the only event in which the needs of the riders always come first. “Henco Rademeyer and Carel Herholdt and their Dryland Event Management Team go out of their way to make the six days of racing a unique experience. “What is also special about the DCM Cape Pioneer Trek is that it is not just about winning. Don’t get me wrong! During every stage the racing is hard, but the suffering becomes bearable because of the camaraderie that develops among all the riders. About their goals for the DCM Cape Pioneer Trek, Evans said that an overall victory was not their main priority. “I think our approach will be much the same as that of Christopher Sauser, the marathon world champion. We want to enjoy ourselves, but if the opportunity should arise to win a stage we would certainly go for it. Visit www.dryland.co.za for more info. 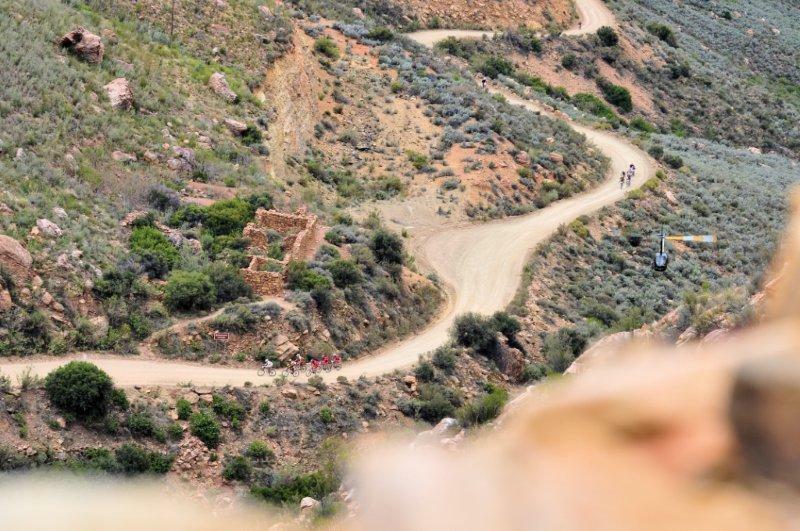 Like a moth not being able to resist circling a bright light or a woman not being able to resist eating chocolates, Christoph Sauser (Specialized) has a compulsion to participate in the DCM Cape Pioneer Trek in the Klein Karoo. Being the current world marathon mountain-bike champion, Sauser could well have taken a well-deserved break from cycling in October, but that will not be the case. 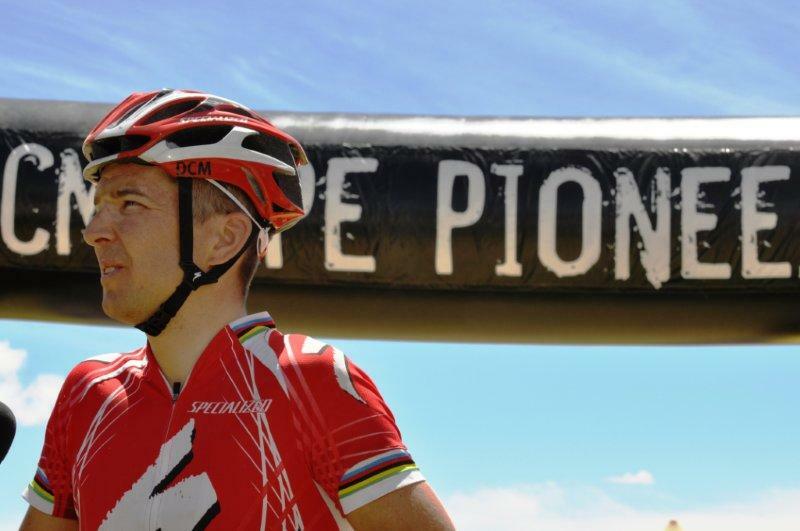 Sauser is adament that he will not miss out on racing the DCM Cape Pioneer Trek. Sauser is not yet sure who will be his partner for the six-day tour. “I was hoping to ride the tour with Silvio Bundi again, but it might not happen because Silvio will become a dad about mid-August and he has to clear his participation with his wife first.” Sauser and Bundi won the 2006 Cape Epic. One thing is certain. It does not matter with whom Sauser teams up to race the Pioneer Trek. Even though he claims to be on a holiday, he will not be just fooling around. Even if Sauser should decide to put in just a 70% to 80% effort, it would in all probability be enough to give him a realistic chance to finish on the podium. During last year’s tour Sauser grew noticeably stronger and more motivated as the tour progressed. South African cycling fans should actually try to watch Sauser racing because he is one of the true mountain-biking legends. There are not many riders who can boast that they have won both the World Cross-country (2008) and World Marathon (2007 and 2011) titles. He also won a bronze medal at the 2000 Sydney Olympic Games, as well as 14 World Cup races. As far as second and third place finishes in important international events are concerned, his CV is also impressive. 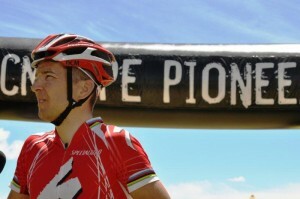 Sauser has also won the Absa Cape Epic with South Africa’s Burry Stander this year (2011). The Swiss rider answered the following questions on his website. What Specialized bikes do you ride? Macaroni, fresh bread, pizza, homemade burger. Actually I like anything. It just depends on the quality and how it is cooked. What is your favorite fluid? Water, draft beer, red wine, coffee, and nothing else really. Backcountry skiing, reading, snowboarding, relaxing, cooking. If you were not a pro mountain-bike racer, what would you be? Professional road cyclist, military pilot, ski jumper. What has been your best riding experience? Free riding with backpack from hotel to hotel after the racing seasons. This is a great way of having fun with friends and still being active. Well, it can also get over the top for after-season fun. The routes on the hiking maps always look short in time, and we often end up riding into the night. One day, years ago, we could not find the trail in the dark and it was midnight before we arrived in a small mountain village. Luckily there was something like a holiday apartment in which we could sleep. Now I always have a light in the backpack with me! On a long road trip to Italy I stopped the car near Brescia and went for a road ride. On the way back it got dark, and I could not find my car. It was freezingly cold, and I had to ride in the rush hour without lights. It took me for ever to find the car again! Where is your favorite place to do mountain biking? What kind of music do you have on your iPod? Lunik, Depeche Mode, Franz Ferdinand, Gorillaz, Robbie Williams, Akon, Mattafix. The Thing Things, Gwen Stefani, Led Zeppelin. All in all I need great variety. What is the best part of racing? Crossing the finishing line first, and seeing excited team staff and fans! Technique, mental, confidence, preparation, experience, equipment. A combination of cold and wet weather. Sometimes I think too positive, especially when I choose tires, or not take spares with me. Have fun with the right bike from the beginning. So have a look at the Specialized S-Works right away! What is your best way of having a good time? Being healthy, and independent in the mountains. Riding on cool single trails the whole day with friends and on my free-ride bike, with a great dinner afterwards. The is no better way of getting around in nature, with friends or alone. The perfect travelling speed. Actually it is amazing how far you can go with a bike in just one day with only the energy of your body! In today’s season finale of Days of our Mountain Bikes titled ‘Omega’, Mike, Tobias, Whitney, Diana and Hel-Met find themselves in a dark, spooky room with no light or air conditioning. Tobias looks around for an exit, but all the windows have been sealed shut. Nobody understands what’s happening and they all stare at each other blankly. And with that, a blinding white light grows stronger and stronger as they all…disappear. What will happen next in the Days of our Mountain Bikes? Peeps, I’m telling you that most road cyclists and organisers behave like little girls! I just read the news that Tour de Spain director Javier Guillen said that Alberto Contador’s absence will not noticed at this year’s event. Is this guy freaking nuts or drinking too much tequila? Contador is the Tour de France winner! That means he’s the most bankable rider and cycling personality in the world right now – of course he’ll be missed. Maybe Guillen will retract his statement when he notices how fewer people attend this year’s event because of Contador’s absence. Crazy road cyclists and fanatics – probably been inhaling too many exhaust fumes! Alright, I have just been set the craziest challenge of all time. Fred has challenged me to do an MTB trail on a Nimbus Unicycle! 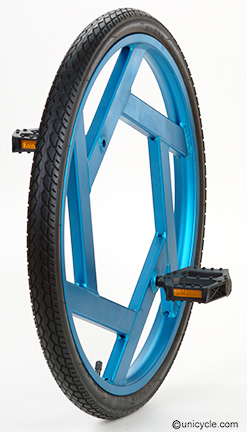 Yes, you read that correctly – a unicycle. I’m going to be honest – I’ve never ridden a unicycle in my life! But I have seen guys faceplant the pavement with these things. 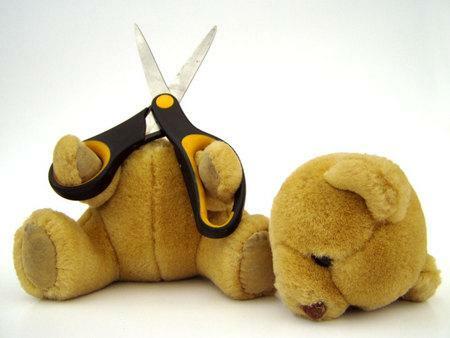 Possibly doing an MTB trail, may just be cycling suicide. Bah! A few broken bones or scratches – I’m not scared A little bit of stunt riding never killed anyone – Well, I hope! No handlebars. No brakes. No seat. If anyone can do it, it’s your friendly neighbourhood Bandaged Jack! I’ve found some great gems to put a smile on all your faces. 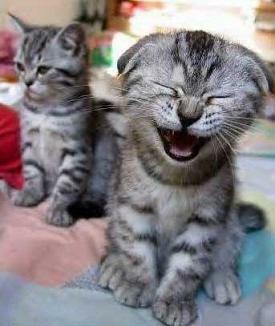 Forget the fact that it’s Wednesday and laugh like you don’t have a care in the world hehe…hope you enjoy them. A pedestrian stepped off the curb and into the road without looking one day and promptly gets knocked flat by a passing cyclist. “You were really lucky there,” said the cyclist. “What on earth are you talking about! That really hurt!” said the pedestrian, still on the pavement, rubbing his head. “Well, usually I drive a bus!” the cyclist replied. Jack and Jill have just climbed Le Alp de Huez, one of the steepest peaks in the Alps on their tandem. I found this post yesterday and it’s utterly hilarious. I had to post it on MTB Shorts! Many women are scared to ride in a skirt. What if the wind blows wrong? What do you do when you’re going fast downhill? What if your bike isn’t a step through (which, by the way, neither mine nor Anna’s are)? Here are the tips and tricks for maintaining your dignity whilst wearing the skirt and enjoying your ride. 1. Pick your skirt- pencil skirts are never a good idea on a bike with no step through. You are looking at your skirt riding up and constantly pulling and tugging. A-lines, looser cotton skirts and mini skirts are best. Long skirts work if you have a skirt guard and chain guard (which I don’t). Dresses are also a great idea because you are not worrying about the back riding up too much and showing rear end cleavage (the worst kind of cleavage). 2. How to get on the bike-this is assuming you are riding a regular bike with no fancy step through. Step one: stand to the side of the bike. Step two: squeeze your knees together. Step three: lift your leg, keeping your knees as close together as you can. Standing on your tip toes is also a big help. You can give yourself extra protection by holding the centre of the skirt down. Step four: at this point, you should be straddling the bike. In order to keep the skirt down it is best to put one foot up on a pedal. Tilt the bike a bit and you are good to go. Do this all in reverse to get off gracefully. 3. Riding in a skirt-ride as normal, keeping your legs close to the bike (something you should be doing anyway) and keeping one leg down while the other is up during coasting moments. For going downhill, I find that standing up keeps the wind from making you less than modest. 5. Have fun-sometimes you will flash. It is inevitable. When that happens, throw your head back and laugh. It really is quite funny! Also remember that with all the biking you are doing, your legs probably look amazing so flaunt them. This post was originally from bikeskirt.blogspot.com. You should also check www.bikeskirt.com, they have some really funny stuff online. Enjoy my pretties! 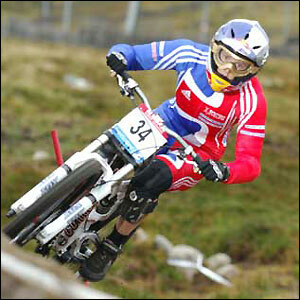 Rachel Atherton is out until 2010! Wow, how things change so fast! Just last year, Rachel Atherton was on top of the world after winning the dowhill world championship in Italy. This year, she’s spent the entire season healing after her collision with a pick-up truck during a training session (Pick-up truck 1 Atherton 0). The crash forced her to undergo surgery on her shoulder in May, but it’s still too unstable for her to race and she needs more time to build up the supporting muscles. Atherton has said that she is disappointed to miss the season and only wanted more success after last year, but acknowledges that she’ll have to wait until 2010 to get back on the bike. We’re holding thumbs for you, girl. Come back stronger than before and show these other riders how a champion does it! 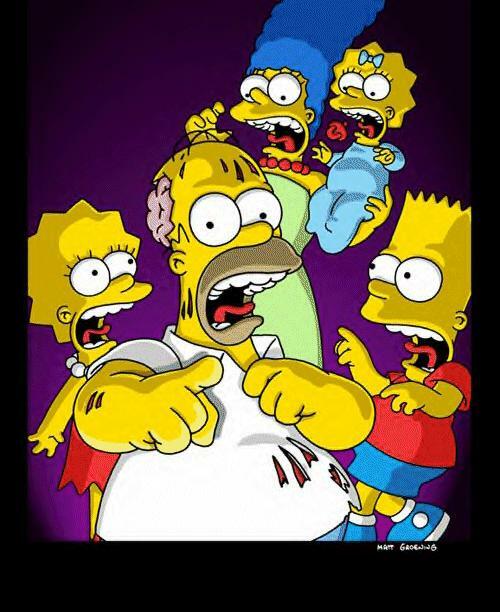 You can follow the Atherton family with the latest reality tv-type episode. Have you ever suffered an injury that made you believe your time was up? In today’s episode of Days of our Mountain Bikes titled ‘It’s coming’, SexyShorts66 doesn’t come online for weeks, when suddenly, out of the blue, she pops up on the laptop screen and asks Mike to meet her at a secret location. Mike is reluctant at first, but when she tells him that she has an MTB gift for him, he agrees. Is this a trap? There is still no sign of Tobias and Whitney – it seems like they’ve vanished from the earth or have they? Diana fights off Petro with a heavy elbow to his stomach. 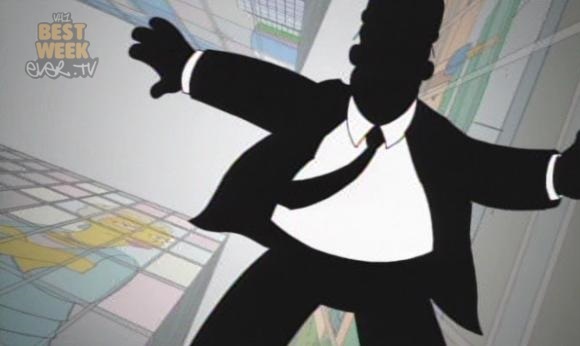 Out of nowhere, Sanchez runs out and tackles Petro, he turns to Diana and says, “Grab Hel-Met and run! Hide in any dark building!” Diana does as she’s told and grabs her adopted son, and they run for their lives as Petro and Sanchez fight to the death. Will they be safe and what will happen to Sanchez and Petro?